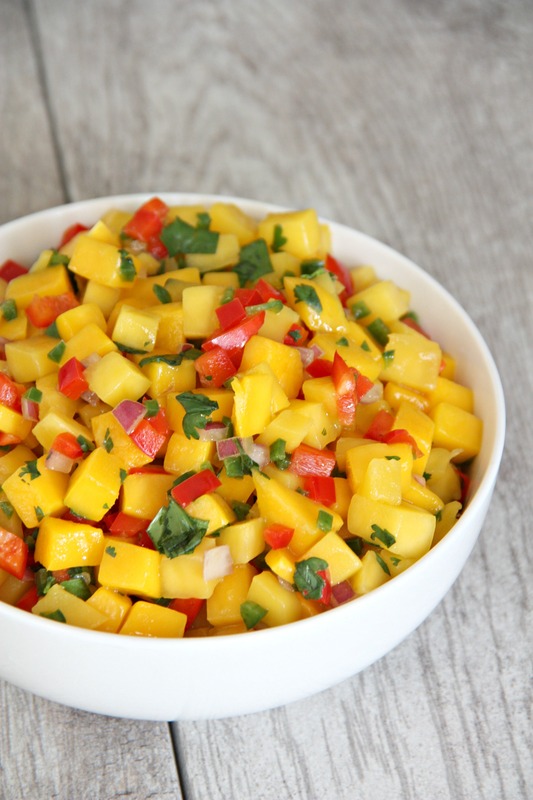 There is much to love about mango salsa. It is vibrant, colorful, and pleasing to look at (as far as food goes). It is surprising (who would have thought mangos would taste so good with savory foods!?). This stuff is so versatile–top fish or chicken with it, eat it plain with chips, add it to tacos or fajitas, or add a can of black beans and serve as a side dish. But best of all, this stuff is SO tasty. My mouth is watering just thinking about it. See what I mean, look how pretty it looks. Maybe I’m the only one that thinks food can be pretty! Did I also mention this recipe is fast and easy!? All you need to do is some chopping and dicing of a few ingredients and throw them all together with some lemon and lime juice. It takes about 15 minutes to prepare the salsa. 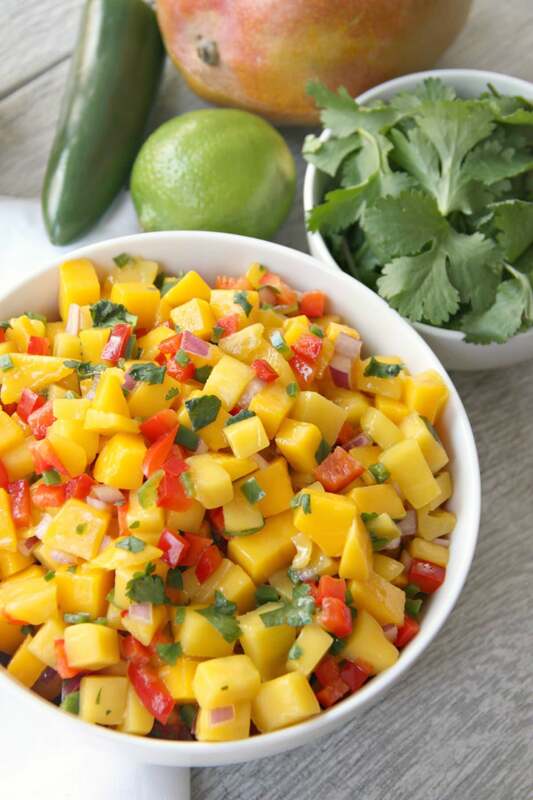 You’ll want to make sure you let the finished mango salsa chill in the fridge for at least one hour. You can even prepare it the night before you need it. That will really make all the flavors combine together. 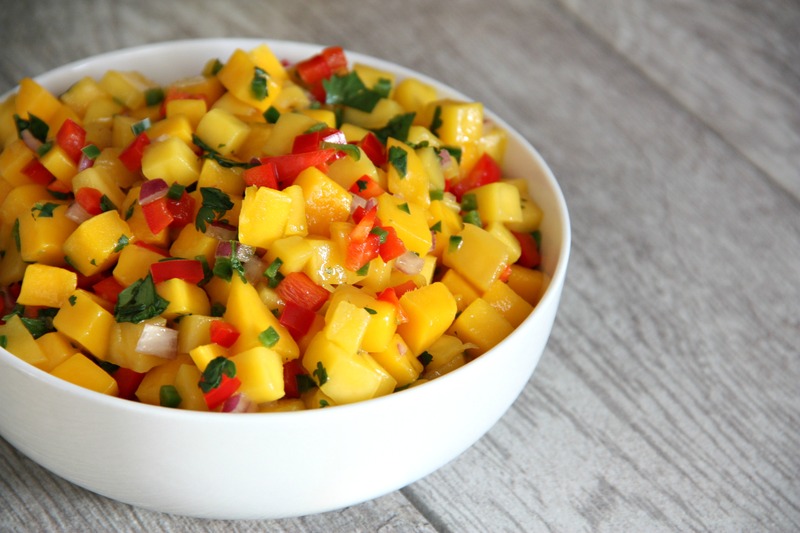 I hope you enjoy this amazing mango salsa! Don’t forget to pin it for later. Combine the mangos, red bell pepper, red onion, cilantro, and jalapeño pepper in a bowl. Add the lime juice and 1 tablespoon of lemon juice, and toss well. Season to taste with salt and pepper, and refrigerate for at least an hour to let all the flavors meld. Linked up with The Pin Junkie, A Dish of Daily Life, Katherine’s Corner, Posed Perfection and Tidy Mom.